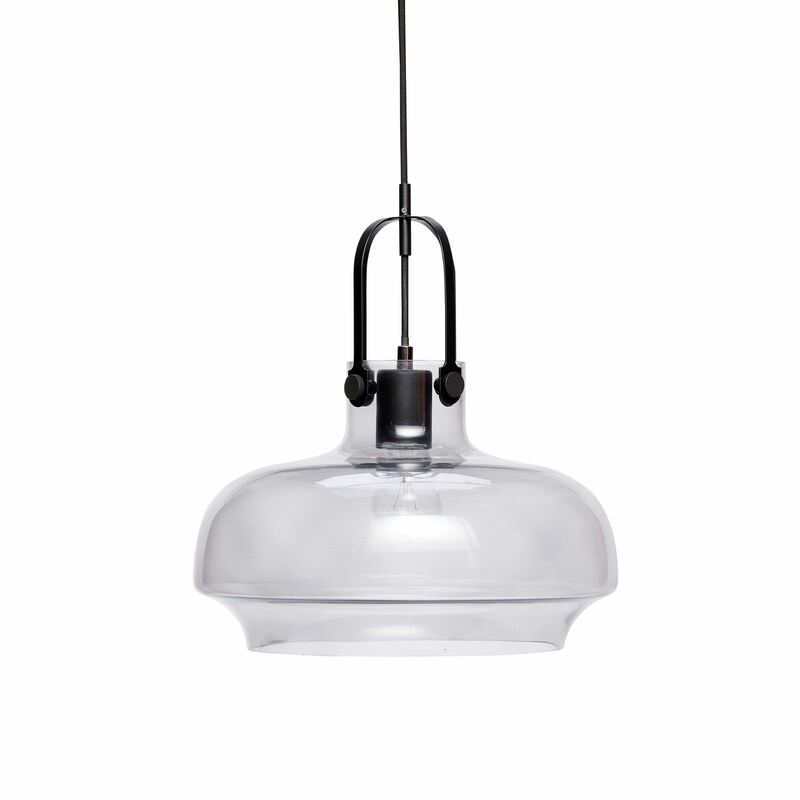 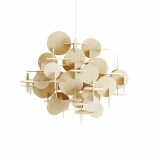 Beautiful and simple ceiling lamp in glass and metal from Hübsch. 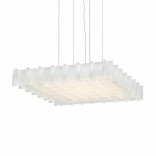 Use this lamp over the dining table or in your living room for an additional excellent light. 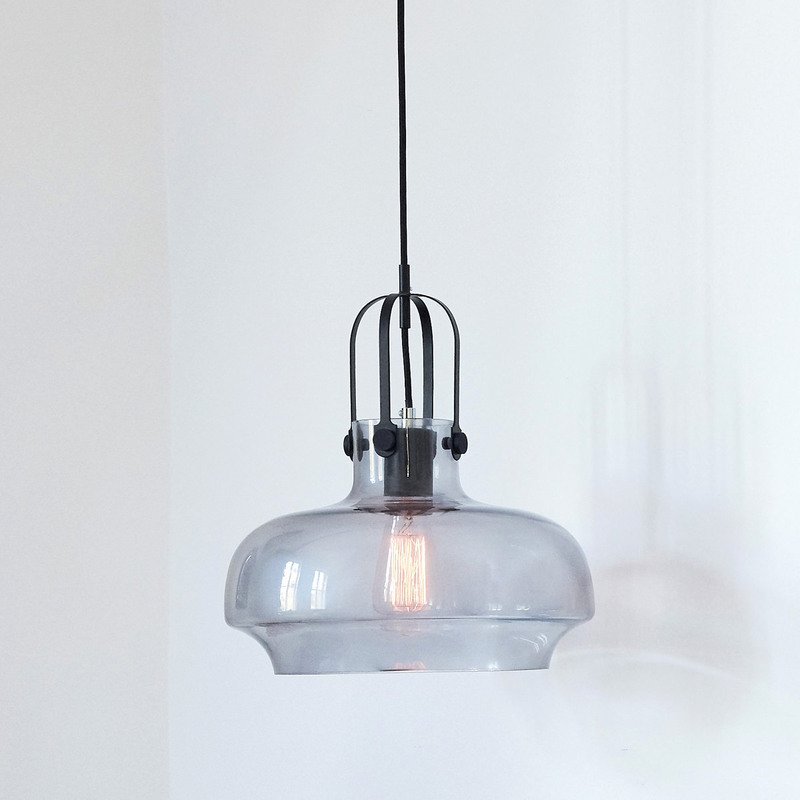 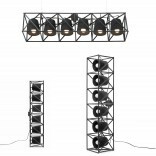 The lamp has grey colored glass with black metal hanger and details. 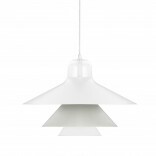 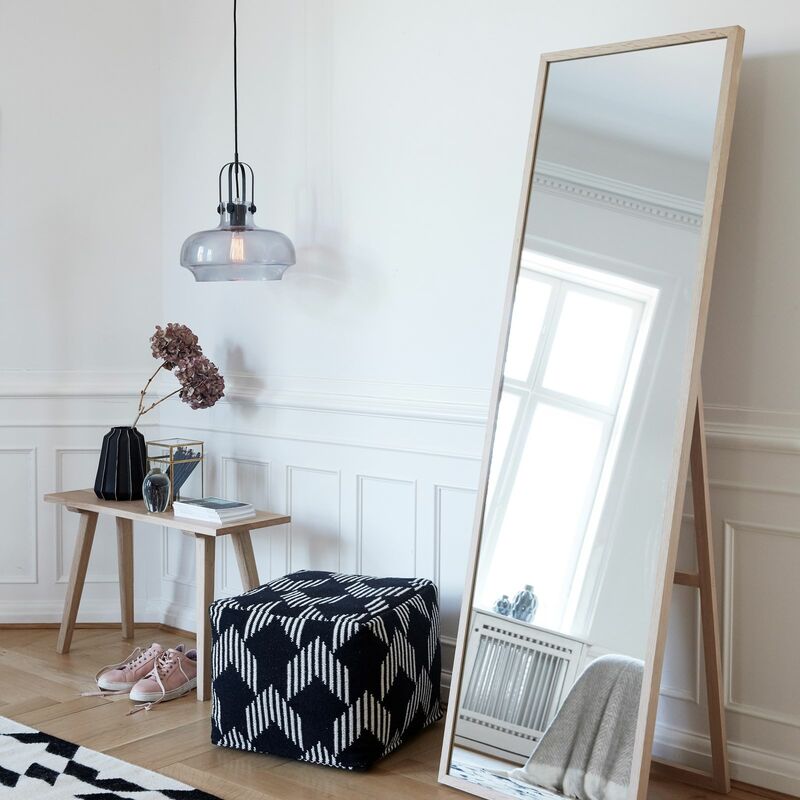 This lamp is characterized by minimal lines and delicate colors. 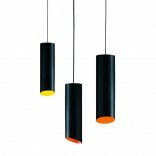 The transparent colored glass available in grey and amber, makes for warm and ambient light.